Bid Marriott Rewards points to get VIP experiences at the 2018 Pro Bowl and Super Bowl LII. Offer expires 12/31/17 at 11:59 PM ET. Discount excludes Nike merchandise, On-Field Headwear, “Limited Quantity Items,” Sale Items, & Others. Not valid for gift codes, cards or certificates, shipping or handling, value added services or taxes. Cannot be combined with other promotions or discounts. Except where required by law, cannot be redeemed for cash, reproduced, modified, sold, traded, refunded or replaced. Not valid on previous purchases or returns. No cash back. Valid only while supplies last. Other brands or merchandise (based on availability or other factors) may be excluded. Offer may be modified or terminated at any time without notice. 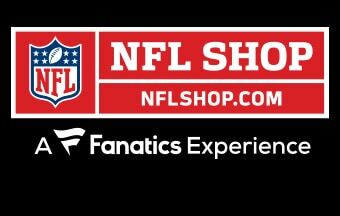 All purchases are subject to NFL Shop’s Terms & Conditions or equivalent. What are you waiting for? Get instant benefits when you join today.